a British professional computer chess programmer. He is author of the mighty chess programs Cyrus, Psion and Chess Genius, and their respective dedicated incarnations, most notably the Psion and Chess Genius programs inside Mephisto computers, dominating microcomputer chess in the 80s and 90s with ten World Microcomputer Chess Championship titles in a row, from 1984 until 1995. After first trials, Richard Lang started his computer chess programming career in January 1981 after he had absorbed Dan and Kathe Spracklen's book about Sargon which provided a complete Z80 Assembly listing  . He saw several ways to improve, not only in speed, but also in better algorithms and ways of obtaining a score for chess positions  . Lang's first chess program, Cyrus, was written in Z80 Assembly. It had an astonishing debut at the 2nd European Microcomputer Chess Championship at the PCW Show in September 1981 in London, winning all five games and the tournament. Lang immediately was offered two contracts by David Levy and Kevin O’Connell, one for Cyrus, and one to work as programmer for Intelligent Software. Lang accepted, and turned his hobby into a job. Cyrus for Sinclair was his first commercial entry, followed by programs for various dedicated chess computers merchandised by Intelligent Software, as well a further improved version of Cyrus. In about 1983 Richard Lang started to write his new program Psion for 68000 based processors. He was about to abandon the work for Intelligent Software, who continued their own work by owning the Cyrus brand by primary programmer Mark Taylor, yielding in Cyrus 68K. Psion Chess was marketed first by Sinclair Research for Sinclair QL computers  and later under Psion's own label for Apple Macintosh, Atari ST and in late 1983 for the IBM PC with 8086/88 processors  . 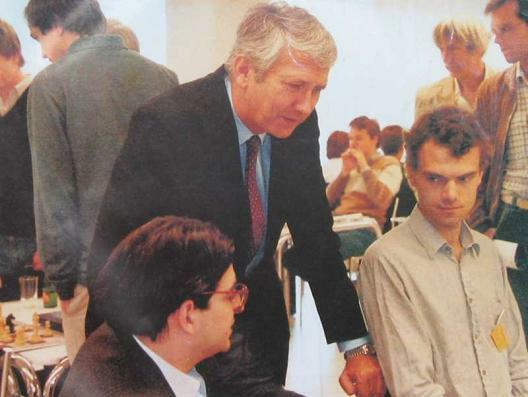 In 1985 Lang started to collaborate with Hegener & Glaser and Ossi Weiner, porting Psion to their dedicated Mephisto chess computers  . Psion evolved to Chess Genius, also ported to PC's for the MS-DOS operating system, and later to Windows  . 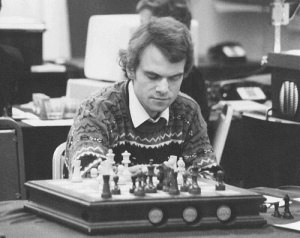 Lang's Mephisto programs dominated the microcomputer chess scene from the mid 80s until the beginning of the 90s. He was multiple World Microcomputer Chess Champion, last title with Genius (shared with MChess) at the WMCCC 1995. In 1994 during the Intel Grand Prix Cycle  in London, Genius won a speed chess game (25-minutes per side) against Garry Kasparov  . Clearly, Richard Lang has produced the strongest microcomputer program in the world. It searches 4-5 plies brute force plus up to 6-7 plies selective search. The program contains a lot of chess knowledge, which is used both in the tree and to create piece-value-tables. The chess knowledge was obtained from chess masters, who analyzed games played by the program. The program has an asymmetric evaluation function, which emphasis safety (has rules like 'do not start a wild attack, but worry a lot if the opponent does so'). The program searches about 4000 nodes per second on a 28 MHz 68020, but this includes a thorough analysis at every node, including a swap-off evaluation (static analysis of captures instead of a capture search). In 2002 Richard Lang founded his own company, merchandising Chess Genius for various platforms with focus on PDA and mobile phones, recently also for Android  . In an 2003 interview, Richard Lang stated that there is still much of Cyrus in current versions of Chess Genius. For example, he had never used quiescence searches and relied instead on a static swap off routine. More recently he has failed to make progress with top PC programs. In part perhaps due to his programming techniques do not scale well on very fast hardware. The program has become very complex, and unfortunately the complexity seems necessary and new ideas have not really worked  . This page was last edited on 11 March 2019, at 14:09.